Marina Photonics is dedicated to high speed affordable Time-Correlated photon counting systems and has been supplying high speed photon counters since 1987. Interface - USB computer controlled acquisition for lowest cost. Note: One year warranty applies. 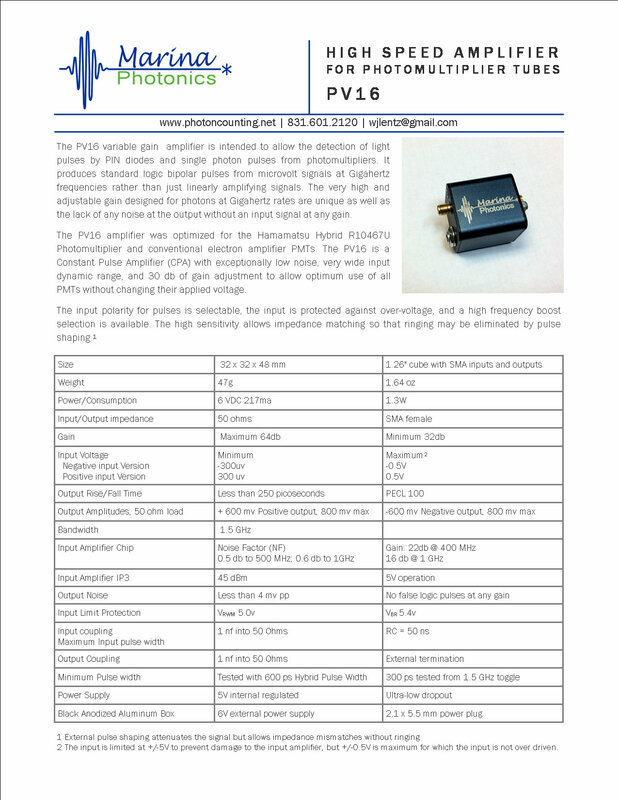 Interface to PMT's including Hamamatsu 1 GHz Hybrid tubes using the 1.5 GHz Variable Gain amplifier/discriminator on the next page which accepts positive or negative pulses.